Roughly one in 20 students take a leave of absence from Harvard every year. But no two stories are the same. Even at dusk, finding a seat in Gutman Library was nearly impossible. It was early May 2016, and as the sun went down the room began to buzz with finals week energy. Students in armchairs scribbled in notebooks, swiped through PowerPoint slides, and whispered in hushed tones across wooden tables. Nikki M. Daurio ’19-’20 had secured a table and sat clicking through lecture slides on her laptop. Her biology exam was 15 hours away, but as Daurio reviewed the semester’s lectures, her memory felt blank. Having spent the semester dealing with health challenges including depression, viral meningitis, and perpetual headaches, Daurio could not recall even attending certain lectures—much less the material covered. “That’s when it kind of came crumbling down,” Daurio recalls. Tears filled Daurio’s eyes as she looked around the library. Everyone seemed to “have it together,” she remembers thinking. She knew that if she elected not to take her final exam, her transcript would reflect unsatisfactory grades and she would have to take a semester off––something she had been dead set on avoiding. “A weight lifted off my shoulders knowing that I didn’t have to stress anymore and that I was going to be able to focus on getting healthy,” says Nikki M. Daurio ’19-’20. As a respite from the stress, a friend of Daurio’s—who had taken time off from Harvard herself—took Daurio across the street to L.A. Burdick’s for hot chocolate. This escape from the moment of panic granted Daurio space to think. By the time they finished their drinks and talked through the possible benefits of time off, Daurio had decided it might be the right path for her after all. “A weight lifted off my shoulders knowing that I didn’t have to stress anymore and that I was going to be able to focus on getting healthy,” she says. Daurio is far from alone in her decision to take time off from Harvard. According to numbers released by the Administrative Board, a body of administrators responsible for enforcing policies outlined in the Handbook for Students, 242 students took voluntary leaves of absence in the 2014-2015 academic year, the last year for which those numbers were released. Fifty-four others were required to take a temporary leave for academic or disciplinary reasons. This amounts to about one in 20 students leaving Harvard every year. The process for requesting a leave is intentionally straightforward. Resident deans, who serve as liaisons in that process as well as representatives on the Ad Board, provide students with information and guidance. They aim to emphasize the benefits of a step back from Harvard life. The message is often that a temporary leave is an option—maybe even the best option—for many students. That’s not to say there aren’t roadblocks that come with the process of leaving and returning. Students who leave must cancel and replace housing, coordinate often complex financial situations, and, in some cases, find employment. The decision to leave can also be emotionally fraught: The vast majority of Harvard undergraduates—86 percent—graduate in four years. To leave is to take the road less traveled. Students like Daurio have also found difficulty in the process of returning. Conditions of leave are determined on an individual basis, so students who choose to explicitly disclose their reasons for taking time off to the University may face special conditions or additional hurdles. For those who have taken leaves for mental or physical health reasons, it may be necessary to petition the Ad Board and complete health assessments before a return can be granted. For some students, this can feel like a burden. Challenges aside, many students who take time off ultimately find it beneficial. “I think the vast majority are happy they went on leave,” Associate Dean of Academic Integrity and Student Conduct Brett Flehinger says. The decision to leave can be jarring, but many find perspective and recovery in time away from Harvard. It doesn’t all happen in a heartbeat, though. Navigating a leave of absence—both the exit and the re-entry—can be riddled with challenges. “I felt like I wasn’t taking advantage of anything here,” Jillian A. Scyocurka ’18-’19 says. After several complications following ACL surgery, Scyocurka, who had been recruited for lacrosse, decided to stop playing. Feeling stuck and burned out without the structure of an athletic schedule, she found herself constantly unengaged. “Since we only have eight semesters, I feel like it’s such a waste of my time when I could come back and get that whole period back,” she says. Scyocurka decided to take a leave of absence. Others make the decision more reluctantly, after exhausting the mental and physical health resources available at Harvard. For Daurio, that meant seeking mental health services in order to try and recover without having to leave school. “I was dead set against leaving,” Daurio says. “I did not want to leave whatsoever.” Leaving behind friends, the water polo team, and House life, she says, felt like dismal prospects. At the same time, Daurio felt that the mental health treatment she was receiving through Harvard’s Counseling and Mental Health Services was inadequate within her busy schedule of academics and athletics. “I would say, ‘Oh this is a problem and this is a problem and I’m feeling suicidal,’ and the therapist would just be like ‘Oh, our time is up, I’m sorry you’re feeling that way,’” Daurio says. Chief of Counseling and Mental Health Services at University Health Services Barbara Lewis stresses that there are therapists available from 8 a.m. into the evening every weekday. Students’ busy schedules, however, can become obstacles to making appointments. “Often it’s because getting the appointment isn’t as high a priority as doing some other thing,” Lewis says. But Daurio’s pre-exam breaking point in Gutman was just weeks later. Soon, Daurio received permission from the Ad Board to delay two of her exams and decided officially to take time off—giving her the summer and the following fall semester to take a step back from Harvard. A student may declare a leave of absence before the seventh Monday of the semester, in which case, their transcript for that semester is effectively wiped clean. These students have the option to return in time for the following semester. But after the tenth Monday and until reading period, students declaring a leave must also take the following semester off. Between the seventh and tenth weeks, cases for returning the following semester are individually decided by the Ad Board. In the often emotional process of deciding to leave, a student’s primary resource is their resident dean. Resident deans act as liaisons between students and the Ad Board. They serve to provide support in decision-making as well as the logistical legwork that follows, from cancelling housing to communicating with the Financial Aid Office. “We want that bar to make that choice to be low,” Casey says. Cancelling housing and working out financial obligations can come after a student has left Harvard, and are usually handled by a combination of the student, the student’s family, and the resident dean. Emmanuel J. Kelly ’20-’21 is one of two people from his Greensboro, North Carolina high school to ever attend Harvard. After being recruited for football, Kelly realized within the first few months of his arrival on campus that he didn’t feel prepared for Harvard’s demanding academics. He ended the semester with unsatisfactory grades in both Culture and Belief 39: The Hebrew Bible and Economics 10a: Principles of Economics. An unsatisfactory grade, as defined by “Information for Faculty” guidelines, is anything below a C-. Kelly is part of a unique group of students away from Harvard: those who have taken time off without a choice. Twenty-nine students each year, on average, are required to withdraw on academic review, according to Ad Board statistics from the 2014-2015 academic year. If a student receives two unsatisfactory grades in one term, they are typically required to withdraw for two semesters, as in Kelly’s situation. A student can also be required to withdraw if they receive one unsatisfactory grade each semester for two consecutive semesters, according to guidelines described in the Harvard College Handbook for Students. Medical circumstances in which a student’s behavior poses a direct threat to others or themselves is also grounds for an involuntary leave, but Flehinger says such cases are extremely rare. Separate from the Ad Board’s requirements to withdraw as a result of academic or disciplinary action, an involuntary leave can be required of a student due to any of eight reasons listed in the handbook– including criminal activity, failure to register and enroll, or an unpaid term bill. Students in these cases have the option to change their status from involuntary to voluntary leave. Involuntary leaves are rare in the first place, according to Flehinger, and this added option means that an overwhelming majority of leaves are termed voluntary. “It’s a matter of just changing the classification, as opposed to the expectations,” Brandt says. Students traditionally cannot, however, change the status of academic or disciplinary requirement to withdraw. For students who leave involuntarily, it can be difficult to feel as if they are no longer in control of their college timelines. Many also feel a sharp sense of missing out on Harvard life. Back in Greensboro and two months into his time off, Kelly cites friends still at Harvard as his main source of support. During her time off, Daurio started a mental health blog, Stopping the Stigma, and worked with the Green Ribbon Club, a mental health education nonprofit. Kelly works as an assistant to a Harvard alumna, the CEO of Dudley Beauty Company, and hopes to start coaching youth football as well. Scyocurka backpacked and farmed throughout Europe. 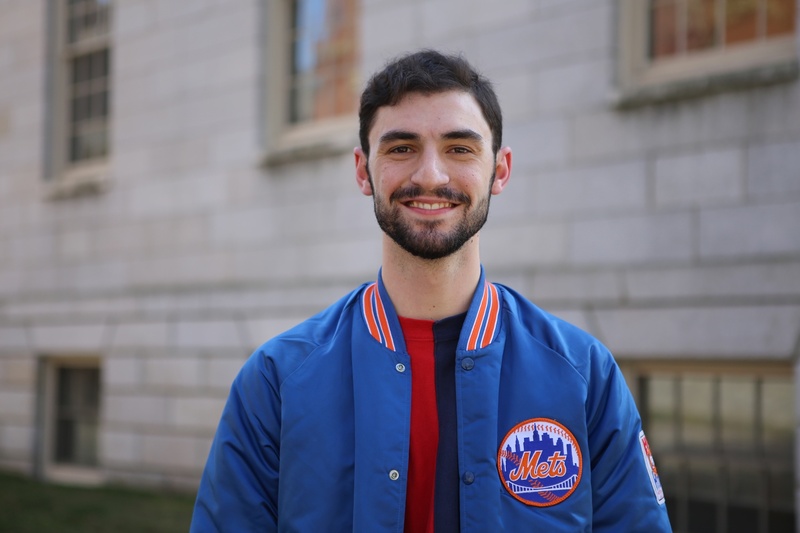 Nick F. Barber ’17-’18, an inactive Crimson editor, worked for a public defender’s office in New Orleans and then for the Louisiana Campaign for Equal Justice. Lara C. Tang ’18-’19, an inactive Crimson editor, volunteered at hospice and trained for yoga teaching certification in India. Sam F. Reed ’18-’19 worked an eight-to-five job for a defense contractor. Students who leave are often busy, and there’s a reason for that. Though students have the freedom to choose their specific pursuits, in many cases, taking up some form of work, study, or service while on leave is not a choice—it’s a requirement. Many students who take leaves for health reasons, whether mental or physical, are assigned sets of guidelines for their time off. These guidelines, called “UHS riders,” are sets of prescribed personal and medical requirements that lay out what must be completed during students’ time off in order to demonstrate stability before their return to the College, according to Casey. These guidelines are assigned as conditions of return on an individual basis, or may not be assigned at all. It is up to the discretion of the Ad Board and resident dean to determine whether or not a student will be assigned a UHS rider. Casey says that one purpose of these requirements is for students to “demonstrate a period of stability” during their time off through work or another activity. While holding a job is the most common way for students to fulfil the UHS rider, full-time volunteering and taking classes at other universities are also viable options. Flehinger, though, says that he believes it isn’t always important for students to have an exact plan for fulfilling work requirements before deciding to leave, especially if they are facing health issues. “A lot of students worry about, ‘What will I do on my time on leave?’” Flehinger says. “Actually, that’s not really the question. The question is, ‘Should you be on leave?’” Deciding what to do with that time, he says, should be a secondary concern. Though resident deans play a significant role in the withdrawal process, once a student is unenrolled from the College, their ties can be fairly limited. Though it depends on the specific relationship between student and dean, students including Daurio, Reed and Barber, among others, report little to no communication initiated by Harvard. For some, this case-by-case approach can skew too hands-off. Barber, who took a voluntary leave of absence, says that no administrator checked in with him during his time off. At one point, Barber says, his house administrator stopped answering his emails about housing. “I think there should be more check-ins from people: ‘Why are you doing this? Is there something that the support structure at Harvard is not offering?’” Barber says. Questions like these are often valuable for students leaving to consider, and their time away lends the space for reflection. When students are ready to pass back through Harvard’s gates, they face a new set of decisions and timelines. Students are required to notify Harvard 12 weeks in advance of returning to school, but housing forms are due weeks before that. And students who leave for medical reasons and carry a UHS rider must face more complicated hurdles to return. At the very least, the administration requires an interview with UHS and a petition to the Ad Board to determine whether a student can be deemed ready to handle the challenges that life at Harvard presents. Students required to withdraw for academic and disciplinary reasons must earn the full vote of the Ad Board before re-enrolling at Harvard. Ad Board policy also states that re-entry for students who have withdrawn for academic or disciplinary reasons is “not automatic,” meaning that more required time off can be deemed necessary. When a student required to withdraw for academic standing returns, the student’s official status becomes “on academic probation,” meaning they cannot receive any unsatisfactory grade their first semester back. An unsatisfactory grade while on academic probation can lead to either another requirement to withdraw or a permanent withdrawal. The interview with UHS and a student’s overall assessment, based on factors including letters from employers, can result in conditions that must be followed for a term—and sometimes for the rest of a student’s time at Harvard. “It’s about the student’s perspective on what lead to their leave, how they’ve progressed in treatment and growth through the activities they’ve done when they’ve been away, and then a discussion about what they think they need for support when they come back to the College,” Lewis says. After her leave of absence, Daurio returned to campus and moved into Kirkland House two days before the Ad Board convened to discuss her petition to re-enroll. 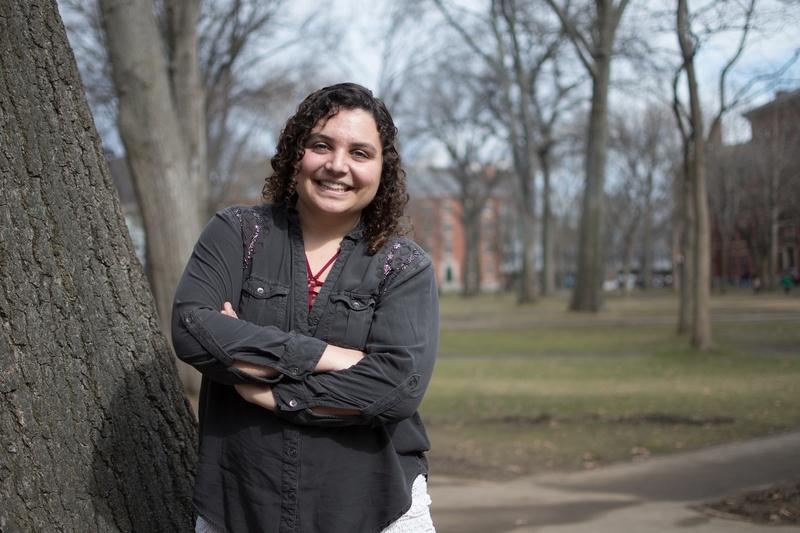 Assuming her petition would pass and with plans to attend a Wintersession program, Daurio sent an email to her resident dean, Soha Bayoumi, announcing she’d arrived back on campus. Bayoumi was not pleased. “I have to say I’m frustrated by this news, as I thought I had clearly explained in our previous email exchange that you’re not expected on campus until your petition to return is heard (and approved) by the Ad Board,” wrote Bayoumi in an email response to Daurio. Bayoumi said in an email to The Crimson that she is unable to comment on specific students’ cases. The Ad Board approved Daurio’s case on the condition that she signed a contract with her treatment team. “A contract is really a way for [the Ad Board and resident dean] to keep track of the student and whether they’re continuing to get the support they need,” Lewis says. Lewis says that a small percentage of students returning from a leave of absence are on contracts. Though Daurio’s situation is not one every student experiences, she still raises concerns about the obstacles of re-entry as a whole. “The events surrounding your return to campus before the Administrative Board’s vote have caused concern about the support system that you have moving forward,” states Daurio’s contract, which is addressed to Daurio from Bayoumi. The return process and contract left Daurio surprised and upset. “It felt like they were completely disregarding the eight months I’ve worked on getting healthy and getting coping skills,” Daurio says. The contract requires Daurio to remain on her prescribed medications and attend a set number of appointments and workshops through UHS. It states that Daurio’s UHS treatment team is not expected to disclose specific information, but still must confirm with the College that the treatment plan is being followed. When Daurio’s home psychiatrist suggested the contract be void after one semester, the Ad Board refused the suggestion. Daurio will be bound to the contract as long as she is at Harvard. Logistics aside, returning to campus after time away can involve complex personal and emotional hurdles. Upon re-entering, students have access to University support systems including the Accessible Education Office. If the student provides thorough clinical documentation as requested by AEO guidelines, the AEO consults with UHS, the College, and the student to make appropriate accommodations, such as helping students communicate with professors and obtaining necessary extensions. But ultimately, Harvard boasts a 98 percent graduation rate. This means that despite the challenges both in leaving and coming back, almost all students who leave Harvard return, re-assimilate, and eventually process out of Johnston Gate as graduates. In late August 2016, Daurio was at home in Orange County, Calif. She watched everyone return to school from afar on social media. “This is the first time in my life that I’m not there,” she remembers thinking. Her elementary school friends, her high school friends, her Harvard friends—all were moving into dorm rooms and stuffing their backpacks with notebooks, while Daurio remained at home. “People have really benefited from having the opportunity to think back and ask themselves: What do they want to get out of this place?” Brandt says. Despite the turbulence of the withdrawal, some agree that the benefits of a break from Harvard outweigh the drawbacks. “I think I have a much clearer sense of how I want to be in this space and how I want to be at Harvard,” Barber says. For those who follow the traditional track, perspective can be elusive. High school bleeds into freshman year and quickly becomes eight straight semesters with little time to breathe. For those who take time off, a sense of balance can become much easier to grasp. This week will mark the seventh Monday of the semester, meaning that for some students, the deadline to take a leave of absence is fast approaching. If they choose to leave, they’ll contact their resident dean, fill out the paperwork, and head home almost immediately. After that, the road will become less clear. 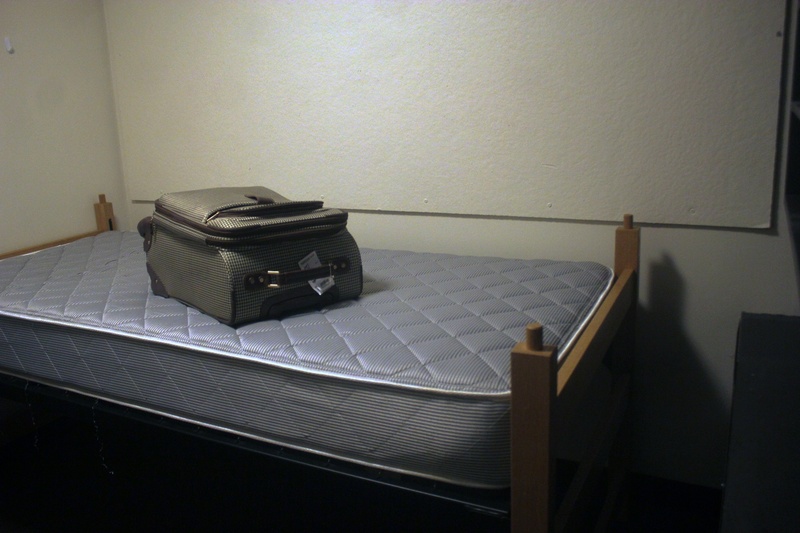 Before a student can pack up their things and move back into their dorm, they’ll have to navigate a complex re-entry process. There may be contracts. There may be Ad Board negotiations. There will be readjustment to the demands of life at Harvard. After all, deciding to leave also means figuring out how to come back. Students who leave Cambridge for the Vacation must first return all books borrowed from the Library. The double quartette will leave Bartlett's at 7.15 sharp for the Art Club. Taking a leave of absence is often a valuable—but by no means effortless—experience.